If you just switch to a new iPhone 6, you may need to know how to restore backup on iPhone 6. If you have no idea on this issue, you may fail to do it for several times. In order to cope with this problem without any frustration, you can have a look at the contents in this guidance to get some useful suggestions. As for why iPhone not restoring from backup, the reasons are various. Some of the most popular ones are listed below for you to refer to. 1. If you cannot restore from iCloud backup to iPhone, maybe the system on your iPhone is not compatible and you may need to update your iOS version. 2. When the backup cannot be restored to this iPhone, maybe the iCloud backup is not complete and there is something lost in the previous backup files. Or the Wi-Fi network is not stable during the restoring process. 3. Another common reason for iPhone not restoring from backup is that there is not enough space to restore iPhone backup. If so, you can try some methods to make room for iCloud backup on your iPhone. If there is not enough space to restore iPhone backup, what can you do? Don’t worry! Every issue can be dealt with several methods. You should know what does backup on iCloud mean. In fact, it is the files and data that previously existed on your old iPhone, which can be restored to your new iPhone for your convenience. When the space shortage hinders the restoring from iCloud backup, you can try to delete some files and clear data on iPhone to make room for the iCloud backup. 1. If photos, videos, and music on iPhone take much space, you can delete some of them directly. 2.You can also transfer some large files to computer for a new backup and then remove them on iPhone. 3. You can also make use of one great third-party tool to manage iPhone files easily and to enable you to delete and transfer files effectively. When the issue of iCloud backup not enough space shows up, you can choose to use Leawo iTransfer to assist you to address it to enable you to restore to iPhone efficiently. This software can not only help to manage different files on iPhone via computer, but also can do your much help to restore backup on iPhone 6. Its powerful functions attract lots of customers to have a try. It is really one tool with a high reputation. As for how to use it to clear iPhone space and restore backup on iPhone 6, you can continue to read the contents in the following paragraphs. iCloud backup not enough space can make you fail to restore the backup to new iPhone. In the aim of solving this issue, you can take advantage of iTransfer to delete some files on iPhone. The detailed steps are as follows. Here I would like to take movies for instance. Insert iPhone into computer with suitable USB cable and then the software will show the information of your device. After that, go to “Movies” panel under the menu of “iPhone icon >LIBRARY”. 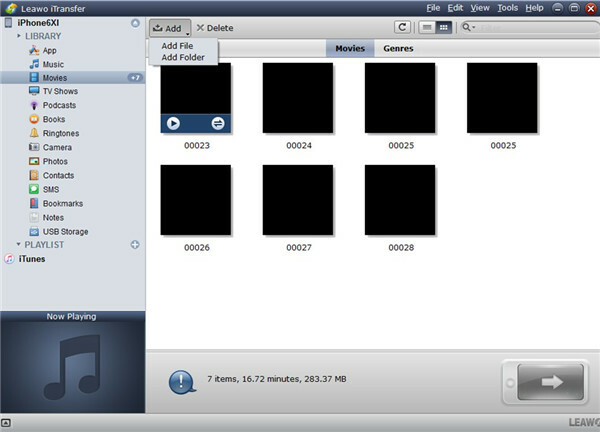 The movies on iPhone will appear in the right part of the software interface. Choose the movie files that you desire to remove and then click on the “Delete” button. 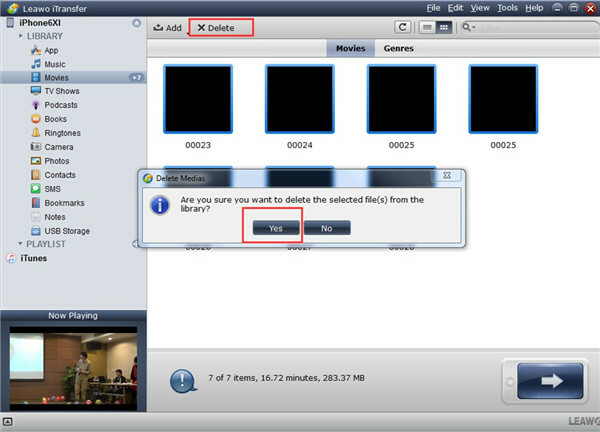 A dialog will show up to ask you to confirm the deletion. You need to click on the “Yes” button to allow the software to delete them from iPhone. Afterwards, the software will begin to delete movies efficiently. In a few seconds, the process will come to an end. As for how many files you need to remove from iPhone, it depends on how much storage is needed to restore backup on iPhone 6. After you delete files from iPhone to make room for iCloud backup, you need to continue the restoring procedure by using iTransfer. In order to restore iCloud backup to iPhone, the transfer functions of iTransfer can be applied to deal with it. Have a look at the following steps and you will know how to make it. 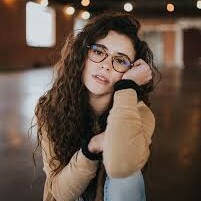 Here I will also take movies for example. To restore backup on iPhone 6 via iTransfer, first you need to download the iCloud backup to computer via iCloud for Windows. On your computer, click to open iCloud for Windows and then sign into it with the same Apple ID that you are using on iPhone. After that, tap on “iCloud Drive” and click on the “Apply” button to confirm your settings. 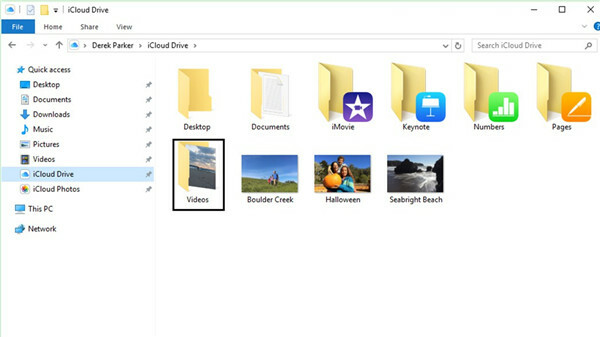 Navigate to the iCloud Drive folder in the File Explorer’s Quick Access List and then find the video folder that you have backed up from old iPhone. Copy and paste them to a computer folder for later use. Note: If you see a tab on iPhone to ask you to permit the verification code, you need to do as it asks to continue the process. When the iCloud backup has been saved on computer, you can continue to use iTransfer to. Refer to first step in Part 3.1 to see how to check out movies. Tap on “Add” button and then choose “Add File” or “Add Folder” to click on according to you demand. Browse computer to find the exported video files from iCloud backup. Click to open the folder or the file to begin to add them to iPhone. You just need to wait for a few seconds and the process will terminate. If you want to clear other files and data from iPhone and add other files that are downloaded from iCloud backup, you just need to choose the corresponding category to meet your demand. The functions of iTransfer are useful and various. Many great features of it can be applied to fix diverse issues.